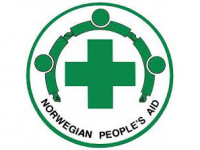 CEPO carried policy research on Gender strategic plans implementation for central Equitoria state with funding from Norwegian Peoples Aid. The study was entitled “denial of women engagement and rights caused by gender based violence and women rights violations, central equatorial state in 2011". The study was meant to measure the level of county gender officers in executing the state gender strategic plans at their jurisdiction of work. CEPO was to use the study findings to enable it design the following year’s gender and women rights plans.